I am an insured hula hoop and fire dancer/eater. 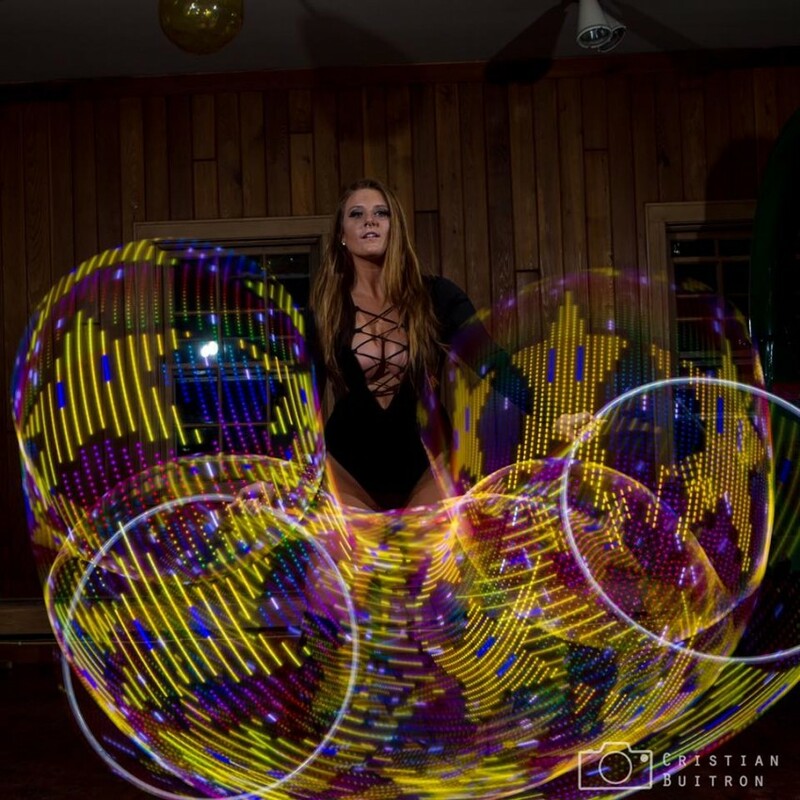 I spin single and double LED hoops, fire fans, and fire eating torches. I am constantly training new props and tricks to evolve my act and am sure to leave your guests entranced!